Are you generating enough money from your business to support your desired lifestyle? Do you have enough time to enjoy life? If the answer is no to either question, then your business is not working. Most businesses don’t work, but there is something you can do about it. 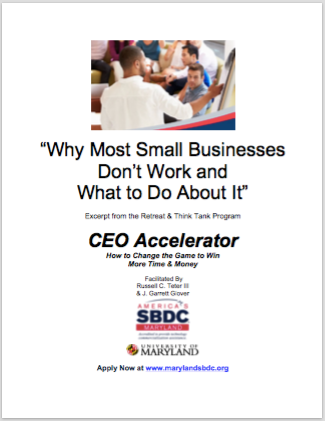 CEO Accelerator© identifies the 6 keys that open doors to earning more while working less! Take the steps today that build on your opportunities, address your obstacles, utilize your resources to reach your dream of more time and money.